These records cover both governor-based colonial rule and government by the Council of State. Their contents contain a clear focus on the Department for Native Affairs, supplemented by reports from the Registrar General. 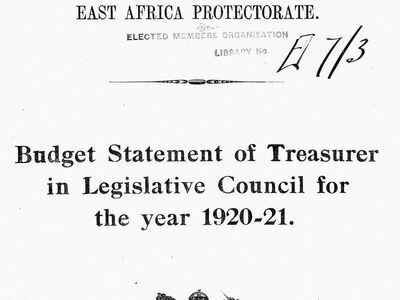 Assorted estimates of revenue and expenditure, accompanied by audit reports and other records regarding Kenya's public accounts. Financial Reports also feature, alongside those upon income tax and earnings. 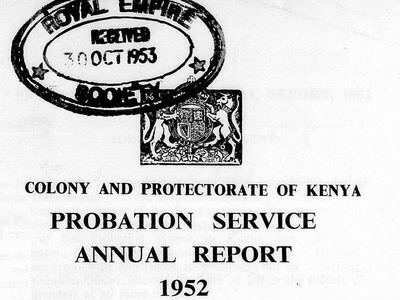 These items record details of the judicial process in Kenya, from arrest and finger printing, to the courts and prison, before concluding with reports on the probation service. 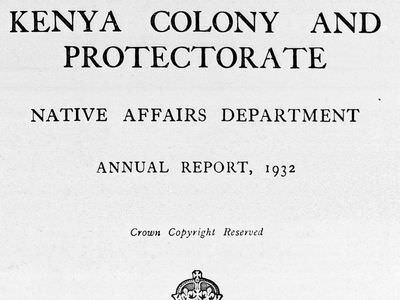 Kenya contains a variety of natural resources, these resources led to the growth of numerous industries within the colony; from agriculture to mining and fishing to forestry. 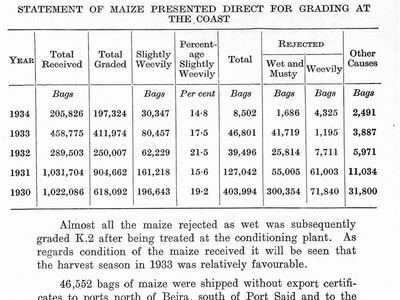 The range of resources that were available is demonstrated by the diversity of these reports.